Manufactured in France from 1936 until after 1939. Not a long description, it is enough for you to go to see the page 14 of the Photo-Plait catalog of 1938. 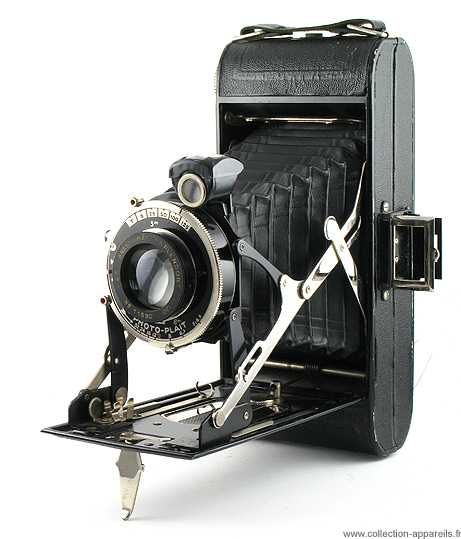 It is acted in fact of a camera manufactured by Lumière; to be convinced some, it is enough to look at Lumirex.